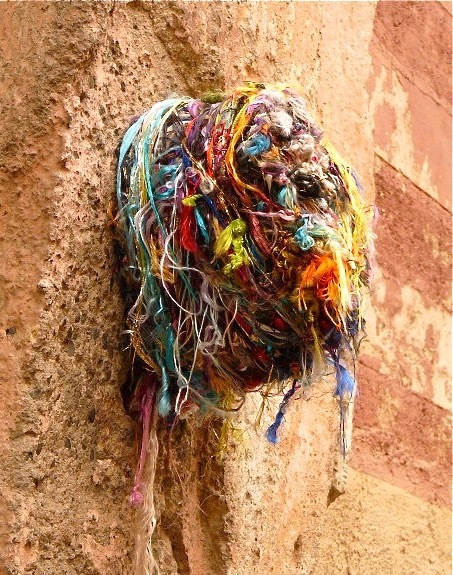 To Zak, they seem like they're painted intentionally, and reminded him of the clusters of colorful thread he once saw in the back alleys of cities in Morocco. So what's the deal with the dots? The dots are part of a war against one of man’s greatest enemies, an enemy that kills several million people each year -- the mosquito. 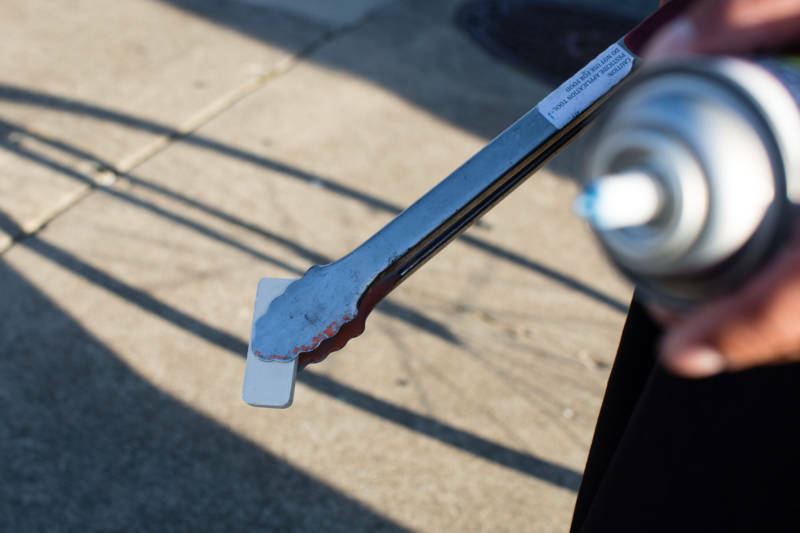 “Mosquitoes are naturally present in our environment here in California," says Dr. Cora Hoover, director of Communicable Disease Control and Prevention for the San Francisco Department of Public Health. Some are capable of carrying the potentially deadly West Nile virus. Local governments treat standing water or use foggers in areas with a high density of adults. 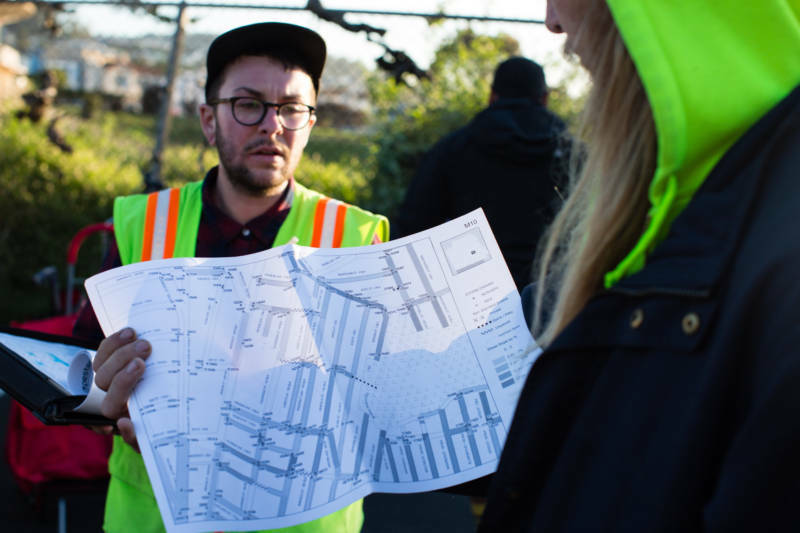 In San Francisco, the city hunts down potential breeding grounds, while contractor Pestec treats the city's storm drains. So far, San Francisco's approach seems to work. Only a handful of birds and humans have contracted the virus since it started treating for West Nile in 2005. According to Hoover, no one has died. 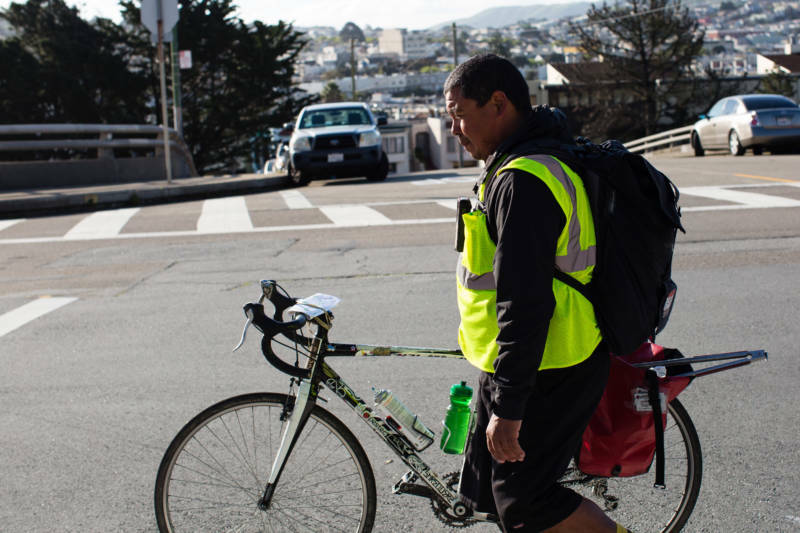 Munoz stops his bike at every single storm drain. Using tongs, he picks up a little white plaster brick that's laced with methoprene, and drops it through the grate. A moment later, we hear a small splash. Dot placement varies from drain to drain. Some dots look like colorful bull's-eyes, and some are sprayed in a messy line. Others leave artful drips down the curb. He finds himself explaining what he's doing to a lot of suspicious people who see him wielding a spray-paint can. “Some people think it's art. It kinda looks like it! I mean, you make your next dot a little over to the side so the previous one shows. ... I do think about it,” says Munoz. 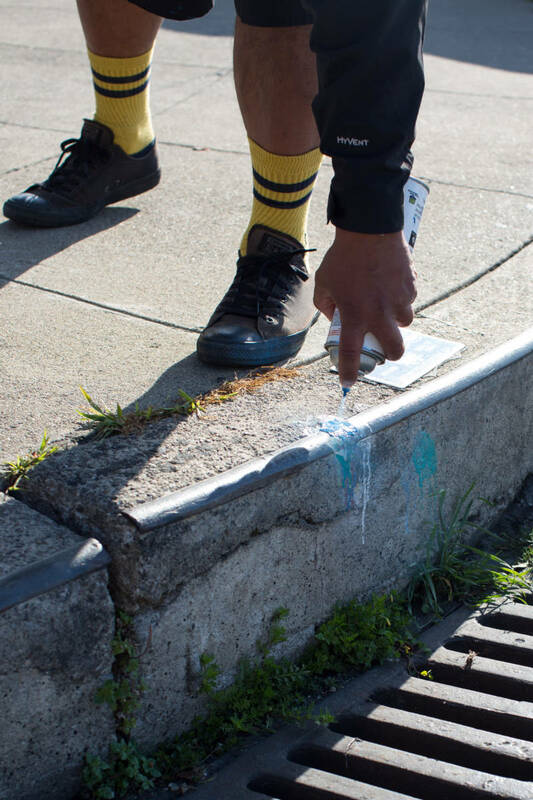 When he's not on the clock, Munoz is a graffiti artist. He started his art when he was 12 years old, and recently helped paint a large mural behind the Mission Cultural Center. He uses his artistic eye to help choose the dot color schemes with his supervisor, Lorae Fernandis, who is also an artist, working in textiles and fiber art. In fact, many of the team members are visual or musical artists. Right now, the team is starting this season with blue, but "that wasn't our choice," Fernandis says. 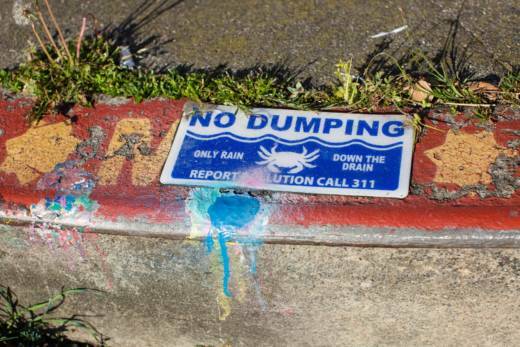 So while the dots do have a practical application -- to signify that drains have been treated for potentially deadly mosquitoes -- they are also the work of artists.